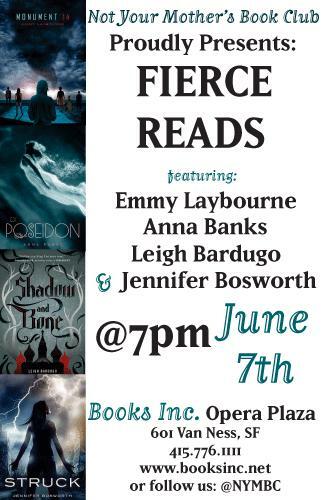 Fierce Reads Signing with Emmy Laybourne, Jennifer Bosworth, Leigh Bardugo, and Anna Banks!!! 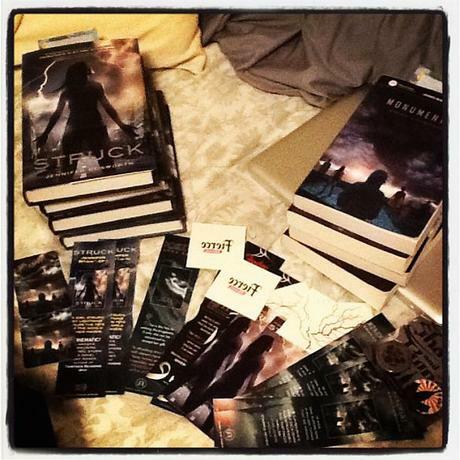 Last night (June 7th) I had the amazing opportunity to attend the Fierce Reads tour stop in San Francisco! 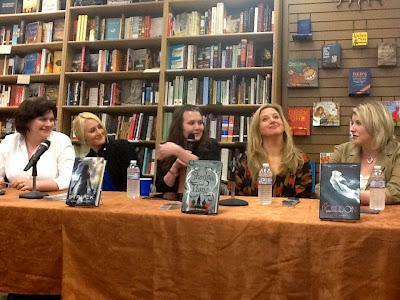 It was an awesome event and I got to meet the fabulous authors of some of my new favorite debuts! Emmy Laybourne (Monument 14), Leigh Bardugo (Shadow and Bone), Jennifer Bosworth (Struck), and Anna Banks (Of Poseidon) were all there and they were absolutely HILARIOUS! These are some SERIOUSLY funny ladies!!! I had such a fun time and I can't wait for them to come back!!! 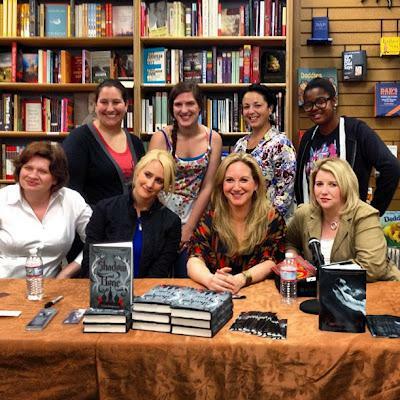 Emmy Laybourne, Jennifer Bosworth, Leigh Bardugo, and Anna Banks! I also got to spend some time with my favorite bloggers (and Shani LOL) and we all took a fab picture together! We're looking FIERCE!